Are you having problems with bats or carnivores? 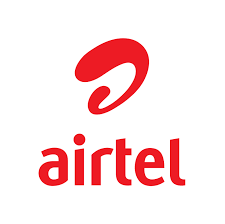 Conservation Research Africa have started a Free Phone Wildlife Assistance Helpline offering advice and site visits to Malawian residents who are having problems with wildlife around their homes; specifically bats and carnivores. The aim of this project is to provide answers and help to residents who have immediate bat and carnivore related issues, and promote coexistence between people and nature. Before calling the Helpline, please read the advice below to see if you can alleviate the problem. If you're having carnivore problems, please visit our Carnivore Research Malawi website. "I have found a bat on the ground/injured bat/bat on the wall"
"There is a bat flying around my house, how can I get it out/will it attack me?" Bats are shy animals and do not want interactions with humans. When they are in flight they are either catching flying insects or flying to roosting or feeding trees. Bats may bite if touched, so this should be avoided. Bats are clean animals, they spend an enormous amount of time grooming their fur. 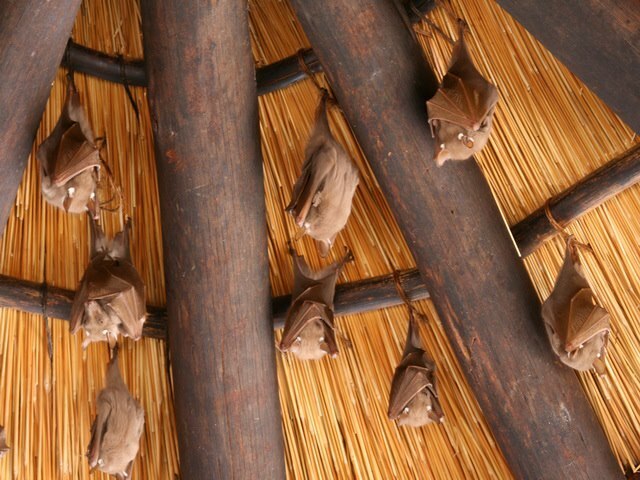 There are very few diseases that can be caught from bat faeces or urine, and they would need to be ingested. Aside from this, there is only a risk of diseases by being bitten by a bat, or by eating one. Very few bats will have rabies, and those that do will generally become ill and die before coming into contact with humans. They are capable of catching the disease just like any other mammal but the disease is not prevalent and you are at much more risk from rabid dogs. Rabies is transmitted through a bite or a scratch from an infected bat. It is not spread through urine or faeces. Therefore you are at no risk if you do not handle bats. Bats are mammals but they are not flying mice; they are very distantly related to rodents, as distant as we are. They will not chew on cables, wires or wood. A bat on the wall is normal and should be left alone. However bats will sometimes be found on the ground. Bats do not want to spend time around humans, so if you find a bat on the ground there are a few possible reasons. Injured – the bat has an injury that prevents it from flying such as a broken wing. Dehydrated/ill – Sick bats will occasionally be found grounded. This could either be from dehydration or an illness if there is no obvious physical injury. Young or baby bat – Especially during the wet season when many bats are born, baby bats could either drop off the mother as she is flying or young bats still new to flying could make flying errors and ground themselves. Hunting – Some bat species will perch or crawl over vertical surfaces such as building walls or trees when either they are about to start feeding or whilst they are feeding – although a lot of species will hunt insects in flight, others will wait on a surface for insects to fly past. Also, bats that eat fruit will sometimes take their fruit to a location where they will then consume it. Don’t touch the bat and don’t let dogs or children near it because of the risk of the bat biting in self-defence. ABC request that you do not kill or further injure the bat - bats will not try to attack humans unless they feel threatened by being picked up. If the bat is on the ground or in an exposed position outdoors, try to pick the bat up using a glove or a tea-towel and place it on a tree above head-height. Handle the bat gently as the wings are delicate, and try to ensure that the wings are pressed to their sides and not able to flap free as they could damage them easily. Bats will generally only fly after dusk, but they are good climbers and will climb up a tree to be safe until night falls. If the bat will not grip the tree it could be dehydrated or injured. Place the bat inside a cardboard box, put a loosely crumpled tea towel/soft cloth for the bat to hide under/cling to and a small, shallow container (e.g. a plastic milk bottle top) with only a few drops of water. Not enough for the bat to drown in. Put the box somewhere quiet and dark at room temperature and check later. If the bat is seemingly healthy, release it: place the box on its side somewhere about 2 metres from the ground or remove the bat (as before, with gloves) and place on a tree trunk. If the bat does not move, call our Helpline number above. If the bat is young, it is likely to have been dropped by its mother whilst she was flying, or made an error in flight if it has only just started flying alone. Baby bats use vocalisations to communicate with their mother, and so there is a good chance that the mother will return to collect the baby. If the bat is in a safe place and not at risk from dogs or other animals (i.e. off the ground) leave the bat alone and return periodically (every 30 minutes) to check if the mother returns for it. If the bat is on the ground and at risk from animals or being stepped on, use a glove or tea-towel to carefully pick up the bat and place it on a high wall that is open above for the mother to fly down, within the same area that you found it. ABC request that you do not kill or further injure the bat - bats will not try to attack humans unless they feel threatened by being picked up. If the bat is flying around during dawn/dusk or at night, it is possible that it entered the building to hunt insects. If the bat is flying around during the day, it could either have gotten itself trapped inside the house since the night, or it has been roosting in the house during the day. If the bat flies into the house on a regular basis, there could be a roost or the bat could be using a part of the building for a night perch in-between feeding bouts. If the occurrence is a once-off, it is likely that the bat entered the building for hunting insects. Having a bat fly around inside your house means they are probably eating flying insects that you consider a pest, like moths and mosquitos! However a bat trapped inside a building will continue to fly around trying to find an escape route. Although bats have excellent flight navigation and do not want to be near humans, in a stressful situation there is a chance that the bat will get close to humans or collide with them. Although a bat will not attack a human, there is the risk it will bite if grabbed at or picked up. Firstly, open doors and windows to allow the bat to find its own way out, and switch off the lights to discourage insects which could have attracted the bat inside. If possible, leave the room to reduce the stress for the bat, and ensure children and dogs are not inside. Allow at least 30 minutes for the bat to find its way out. If after 2 hours the bat shows no sign of leaving or has stopped to rest on a surface, it could be looking for a roost site or it could be ill. If you are not content to let the bat find its own way out during the night then please call our Helpline number above. To prevent bats entering again, determine where the bat may have entered the building and endeavour to block up gaps or keep windows closed after dusk. 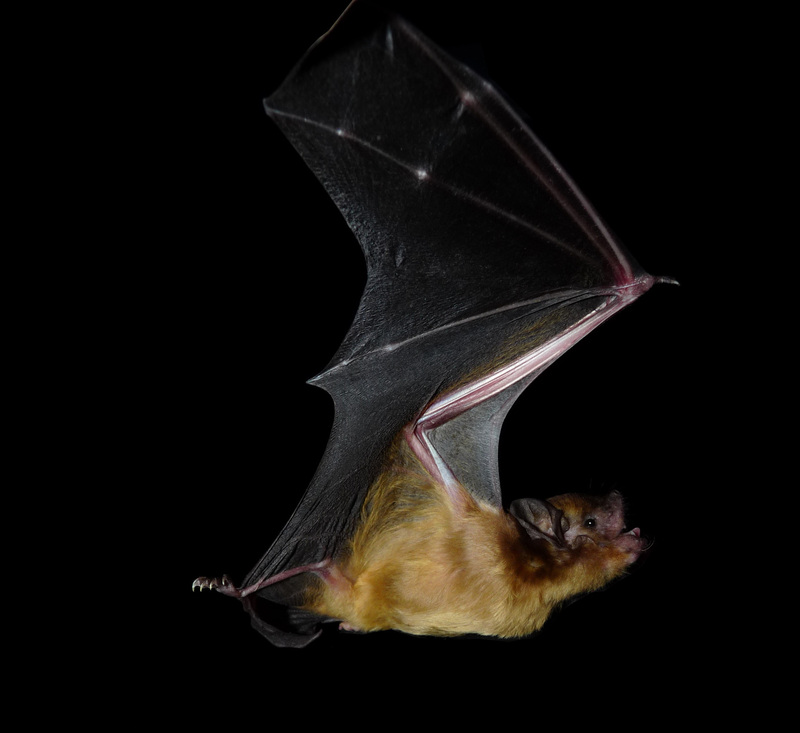 Outside lighting can attract bats because of the insects it attracts, so keeping windows closed near to outside lights will reduce the likelihood of the bat accidently entering the house. ABC advocate living alongside bats and reducing the impact they have on house owners rather than removing roosts. However we also want to encourage people to call the Helpline rather than pest control, so our team also carry out roost removals, ethically. All genuine roost reports are entitled to receive a roost visit from ABC staff. If you are adamant you want the roost removed, ABC can arrange for ethical removal of the bats and assist in blocking up the gaps to ensure bats do not re-enter. Have the bats been seen eating from the tree? Look for whole or partial fruits dropped on the ground beyond the tree's canopy. Inspect partially eaten fruits marked by distinctive scrapings from sets of large canine and tiny front teeth. Under the tree will have balls of fruit pulp and wet droppings. These are all unique indicators of bats rather than other animals like rats or birds. Pick fruits a day or two early before they mature completely. Fruit-eating bats prefer their meals ripe or overly ripe. Hang distracting objects from and near your fruiting plants - anything highly visible that moves easily or makes noise (shiny objects are especially effective). Having dogs stationed around fruit trees should deter bats. (If you experience difficulties downloading this, please get in touch and we can email the document to you or provide you with the information over the phone). University of Bristol Copyright (c) 2014 africanbatconservation.org, All rights reserved. Design by FCT.